The weight of your blade is important to maintain. Perspiration can cause a handle to become heavier by 5-10 grams within a year. This changes balance and movement, which may cause the feeling of your blade to change and no longer be satisfactory. Sometimes the top of the blade is very delicate and must be lacquered for better protection at peeling off. 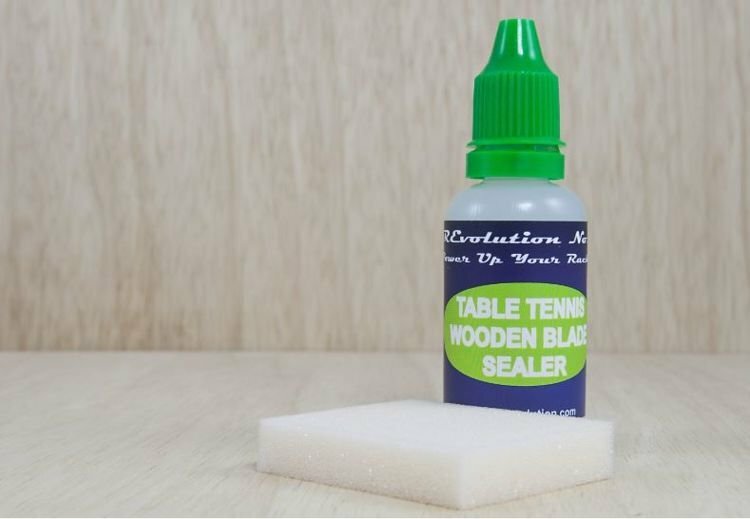 Apply 1-2 thin layers of lacquer with included sponge; evenly to the blade surface. If the adherence to rubber is diminished, gently clean with a non-abrasive cloth until you obtain better contact. Lacquer layer will still protect. Revolution No.3 Lacquer is not sticky to the touch. Totally water based. For best protection of the blade, especially for handle, use Revolution No.3 Lacquer. Available in 10 ml with easy to use washable, reusable sponge.